Last edited by banyan; 02-07-2019 at 10:20 AM. Nice! That’s a big info-taiment screen! Proportionate to the rest of it. - 2.4DIT for higher trims? 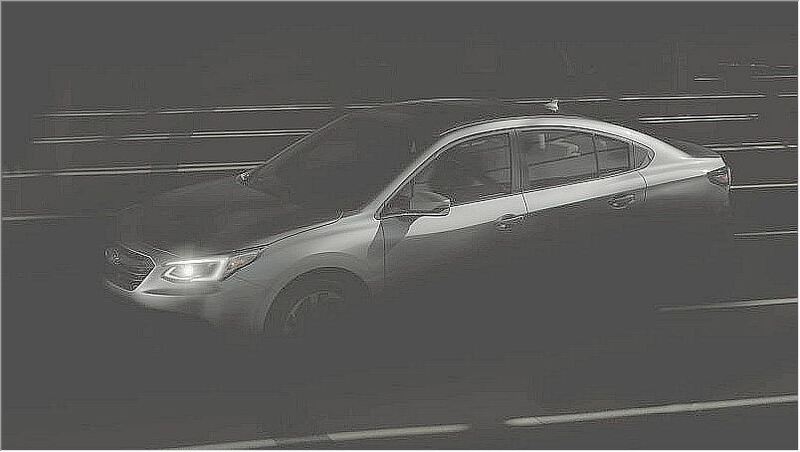 There's also a (veiled, of course) picture of the car on some articles. Interesting to see that they moved away from the on-door mirror stalks. AFAICT the mirrors are still on the door. The A pillar window is still there. Subaru could own the game and slow tesla by having these systems work together in such an affordable car.. they are doing it right and safe with the interior camera..you wont see any stories about people falling asleep on auto pilot etc.. I am really surprised Tesla doesnt have this for their autopilot. Last edited by MtnXfreeride; 01-31-2019 at 11:45 AM. I know Subaru has never really been much for radical design language but to compete against the likes of Camry and accord, they really have to give the buyer more of a reason to even consider. Yes looks are entirely subjective but with the sedan segment narrowing, being 3rd/4th puts you much closer to the bottom. Looks like the side mirror is attached by a slim arm coming out of the window sill. Nice touch if that's the case. I hate these thick arms that extend from the door panel like all the current gen subarus. I really like that interior too. 1, 2, and 3. Most likely the current engine will be replaced with the updated 2.5 N/A with DI found in the new Forester. Yeah, I agree that they should just concentrate on a high performance version and market it against like the TLX A-Spec or A4 or something. Sell the Impreza's and others for the low end economy demographics. Legacy wagons were great, I owned one (was slow), but the sedan is so MEH.. something old people may want. boring design as usual except the interior. my prediction is new SGP, same engine, CVT with eyesight only. No turbo, no manual, no other engine option. anyway, I am not a fan of Legacy sedan nowadays so does not really matter but Legacy info might be important since outback will be exactly same with wagon style. It looks good IMO. I much prefer something like that as opposed to the tacked-on tablet-looking displays that look like afterthoughts. I'm pleasantly surprised. Subaru is usually slow to adapt to current interior trends but the big screen is something we have only seen from Dodge trucks, Tesla and some luxury brands so they are going to be well ahead of the other Japanese brands here. It appears they took years of infotainment complaints to heart. I’m also pleasantly surprised. Subaru is keeping the sedan alive and will be the size of a Dodge truck. Considering that spy shot we saw had dual exhausts, I am going to say you are wrong on the turbo availability. SGP prediction. Really? Same engine as what? It'll have, at least, the same engine as the new Forester, yeah. The 2020 Subaru Legacy will make its debut at the 2019 Chicago Auto Show, and it's climbing aboard the tablet-type touchscreen bandwagon. In fact, it will be the first time a mainstream automaker integrates a vertical touchscreen into a sedan. The Japanese brand teased the 2020 Legacy's interior on Thursday and the teaser shot shows a tablet-like touchscreen center stage. Subaru didn't supply any additional details on the interior, nor did it provide dimensions for the touchscreen. It appears mighty large, though, and seems to take on many functions for the driver and passenger. The climate controls are situated in the screen, though we spy what appear to be physical buttons flanking the screen to control the dual-zone climate system. A physical volume knob is also present—thankfully. Further, it looks like the 2020 Legacy will offer heated and cooled seats which would be a first for the sedan. Aside from the climate features, we spy icons for a map (navigation), radio, media, car information, phone, apps, and settings. Expect a nearly identical layout to appear on the next Subaru Outback, too. The teaser image appears to show the driver-monitoring system Subaru began to offer on the 2019 Forester as well. An infrared camera monitors the driver's eyes and alerts him or her if it detects they aren't focused primarily on the road. It's meant to curb distracted driving or driving when drowsy. We'll learn all about Subaru's new sedan when it makes its debut Feb. 7 at the Chicago Auto Show. FINALLY some freakin cooled seats in the ALL-WEATHER package! Maybe Legacy has a 3rd row now.